KATHERINE E. YOUNG’s Day of the Border Guards (University of Arkansas Miller Williams Prize Series) is set entirely in Russia and the countries of the former Soviet Union. The ghosts of Russian writers Pushkin, Mandelstam, Tsvetayeva, and many others wander through these poems, making tea, fighting with their relatives, cursing faithless lovers. Bulgakov’s heroine Margarita describes meeting the Master; Lermontov’s grandmother worries that the young poet is wasting his life. Lady Macbeth is alive and well and living in post-Soviet Georgia. A man falls through the ice into a ruptured hot water pipe, nuclear reactors melt down, an airplane lands on Red Square. Perestroika arrives and departs, like other fashions. A marriage falters. The phone rings in the middle of the night in a Siberian hotel. The corpse of a gypsy king boards a flight for Moscow. These poems are bone-chilling: looking out her window, Young sees “leafless birches // shivering the ice-covered courtyard” (“Centralized Heating”). But Russia isn’t all about bad weather and feeling out of place. And Young’s poetry is anything but drab and dreary. This is also a world of vodka, tea, and hand-knotted rugs. In fact, the poems are so deeply imbued with Russianness that Young might be a Russian poet herself, very ably translated by the American poet Katherine Young! There’s such a sense of authenticity—a familiarity with the environment, the people, and the great Russian writers themselves—that the reader never feels these are travel poems. the subterranean chaos undergirding the surface “order” of ourselves and of history—in their case, the Soviet Union. They are, in short, what all poetry is, insurgents crossing the borders of what appears to be and what is, the borders of the real and the fanciful, the borders of truth and falsehood, and the borders of the beautiful and the ugly. Like the heating system she described, Young presents her poems as a kind of centralized seeing, in the sense of focusing in on all those borders and in the process, if not eradicating them, forcing a reunification of what borders attempt to keep separate—human beings. Katherine Young’s Day of the Border Guards is very much about crossing borders – those between reality and, in this case, Russia. Which to say she offers us a Russia of direct experience and the transformed country of the imagination. Her text is dense with marvelous detail, dramatic intensity, and intentions that are unmistakable in their insight and judgment. Young chooses to represent both herself and the voices of various personae, sometimes, in fact, as one blended voice: hers and Akhmatova, hers and Mandelstam. 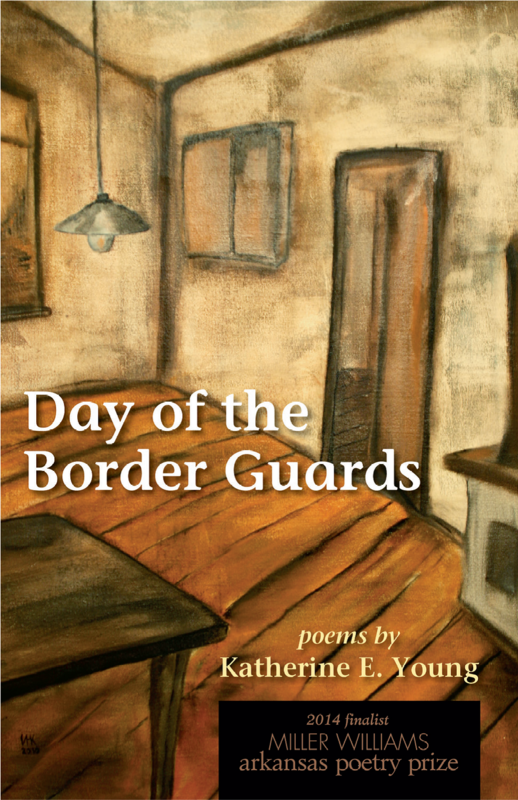 In Day of the Border Guards, Katherine Young examines what it means to be a poet of witness. And what she’s a witness to happens to be nothing less than the Soviet Union before the fall. Hers is a journey haunted by the ghosts of Pushkin and Bulgakov (“I could be myself, or any one / of Pushkin’s women, or Margarita walking / the alleys with yellow flowers in her arms”), the ghosts of dissident poets like Osip Mandelstam, and the personal ghosts of romantic disappointment and philosophical doubt (is she a witness who sees but feels nothing? or is she unable to see at all?). Young’s odyssey is staggering in its scope and vision, but poetry lives in the details and here there are innumerable places where the poetry simply takes your breath away. In “Nearing Chernobyl,” for example, Young writes: “For there’s enchantment aplenty here: / the cold wheeling of comets, breath / of the sun howling down on the rump / of a woman peeing by a tree in Ukraine. / I carry the dust of the universe on my shoes.” Lines any poet — even Pushkin or Lermontov or Mandelstam — would be proud of. Katherine E. Young’s Day of the Border Guards is a commendable book reflecting an astute understanding of Russia, its history, and countrymen. A skilled craftsperson, the author ingeniously creates poems that bear witness to a compelling past. Here is a poet capable of unveiling humanity with a vibrancy that lingers. Even a dezhurnaya—or museum docent/guard—gains relevance alongside figures as eminent as Osip Mandelstam and Mikhail Lermontov. Here is a writer, whose lyricism resonates in the reader’s mind long after closing the book. This debut collection is a standout for a writer who is well-versed in the art of observation. Thomas Dorsett writes: “This collection…should be read by everyone who has an interest in poetry” (read Thomas Dorsett’s full review in Loch Raven Review). Individual poems from Day of the Border Guards originally appeared in Archipelago, The Carolina Quarterly, The Chattahoochee Review, The Delmarva Review, Gargoyle, The Innisfree Poetry Journal, The Iowa Review, The Massachusetts Review, Measure, Mount Hope, Naugatuck River Review, and Terrain. Van Gogh in Moscow (2008), Young’s earlier collection of poems about Russia and the former Soviet Union, served as the foundation for Day of the Border Guards. The publisher of Van Gogh in Moscow, Pudding House Press, is now out of business. Many of the poems published in Van Gogh in Moscow were later revised for Day of the Border Guards. Individual poems from Van Gogh in Moscow originally appeared in Archipelago, BigCityLit, The Carolina Quarterly, The Chattahoochee Review, The Innisfree Poetry Journal, The Iowa Review, The Massachusetts Review, and Shenandoah. Gentling the Bones is a memorable poetry collection that explores the intersection of family and history with skill and imagination. Some of the poems have to do with the Southern heritage and the present state of Southern life; others concern more recent events and more varied locales. The Southern poems are particularly appealing. Katherine Young…is at home with history, at home with complexity, a clear-eyed witness to life’s unending twists and ironies. The human toll of slavery, of racism, the ignorance and poverty they generated, form the back-story of this eloquent book. [A] treasure chest crammed with the stuff of life, a wealth of particulars fully imagined. Tender and intelligent with an eye and ear for the lyric detail, Young’s wide-ranging poems are large in their ambitions and show the action of a mind curious about the past, eager to comprehend the present, and passionate in its allegiance to the complexities of family and history. Her description of a green-gold snake’s “tiny forked tongue / flickering delicate, speculative / in the morning sun” could serve as an ars poetica for these poems as they reach out for wisdom and explore the perilous world around. 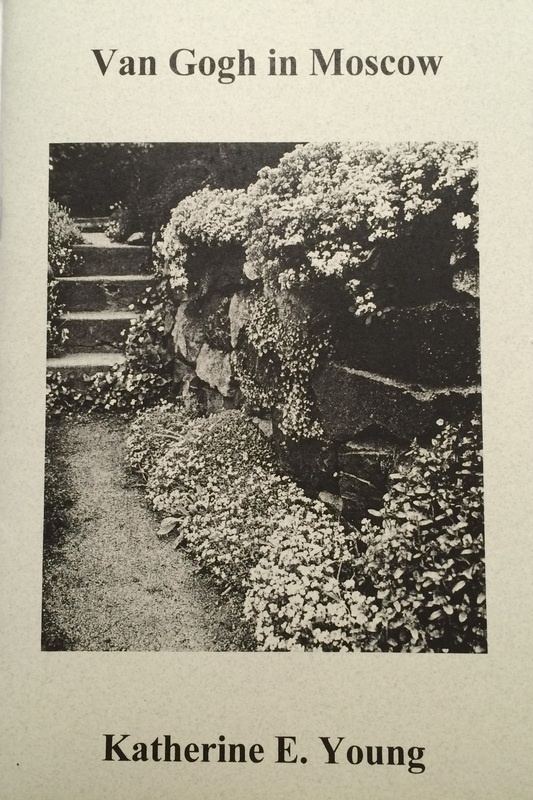 Individual poems from Gentling the Bones originally appeared in The Innisfree Poetry Journal, Poet Lore, Southern Poetry Review, and Stone Table Review.